Google Index Divide – What You Need To Know? Google is taking things fast, rather fast. But, they are not without a fore-update. Recently, in September, Google announced its change of algorithm to Penguin 4.0. Now, even before the entire concept of Penguin 4.0 sinks completely, a new announcement; the Google Index will be split into two. Garry Illyes broke the news that Google would split the Google Index into two. However, it is the second part of the announcement, ‘Mobile Index would be primary and desktop index secondary’ that has sent some into confusion and others back to the drawing board. 1 What is Google Index divide? 3 What Google Index Divide means to SEO and digital marketers? What is Google Index divide? Currently, Google operates one index for both mobile and desktop searches. The difference is very little though Google still captures the source of searches and related mobile or desktop data articulately. The Google Index Divide means that there will be two separate indices; one (primary) for mobile platforms and another (secondary) for desktops. As the primary index for Google, the mobile index will be given preference in all digital contents. You can, therefore, be sure that mobile based content will be crawled and ranked faster than similar desktop-based content. The focus at Google is changing with emerging trends that are in all aspects rushing towards mobile devices. For some people, the announcement about Google Index Divide got them as a shock. However, previous announcements pointed towards the announcement (it was just a matter of when and not if it would finally come). Google has been pushing marketers towards mobile for some time, and this announcement should signal the ultimate stage to switch gears. 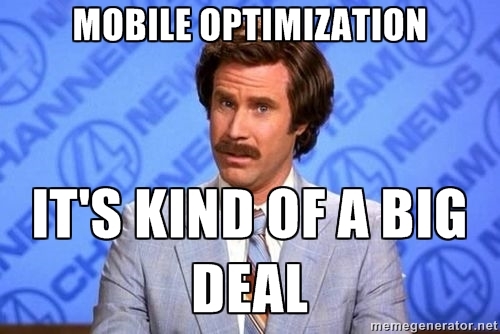 The mobilegeddon announcement: This announcement by Google notified users that it was moving to the most mobile-friendly system that facilitates better access on mobile devices. It also helps users to test their websites whether their pages are mobile friendly. The Mobile Accelerated Pages (AMP): The Mobile Accelerated Pages update was intended to help marketers and website owners make their pages operate faster to enhance user experience. For Google, everything must work towards enhancing user experience. The recent Penguin 4.0 update: While the focus was targeted at ensuring that penguin data would be refreshed in real time, experts are arguing that this might have been a closer pointer to the current shift in favor of mobile platforms. Google has been ringing the bells of its preference for mobile devices and it is simply coming fore to reinforce what it believed is the future of searches. When they announced in August 2016 that over 50% of the all the searches were coming from mobile devices, a shift was imminent. Google had to sway with the stronger current and that current is giving preference to mobile. What Google Index Divide means to SEO and digital marketers? When Garry made the announcement, the target was to alert the industry of what is coming and not to cause panic. It was like a final whistle in a race that notifies athletes about the final wrap. It is especially noticeable that the announcement was lacking a formal release on the Google Webmaster blog. Therefore, your efforts on taking your website mobile should be hastened to ensure everything is okay and at its best. A closer look at the latest Google’s focus on mobile devices points to a relentless force. The main question is why? From a marketer’s or brand manager’s point of view, in fact, it is everything about your operations and not Google. Google has established that more than 50% of searches are coming from Mobile devices and the numbers will keep rising. By encouraging you to focus more on a mobile website, mobile content, and everything mobile means that you can take advantage of these elevated searches. If you had taken an earlier step towards mobile web pages and content, you would reap more by walking with Google on the mobile shift. In the last five to ten years, Google has become very customer oriented. By making the mobile index primary, extra scrutiny will be leveraged to ensure that content is of the best possible quality. This is a win situation for three parties; Google, users, and marketers. While clients are assured of top content on their mobile phones everywhere they go, Google and marketers will win clients’ loyalty and drive huge sales. However, black hat SEO will lose in a great way. The filters are increasing, and their lack of client focus spells doom for them. For white hat SEO, well, the recently announced Google Penguin 4.0 algorithm and this Index Divide could be the best thing that ever happened. Craft top quality content: This is the primary target by Google. They want to get more useful, reliable, and readily available mobile content from marketers. Ensure that your website loads the fastest possible: Website loading speed is a critical factor in page ranking by Google. Note that many visitors take less than three seconds to shift to a different page. Therefore, your pages must load faster (make it at most 2 seconds). Fix all crawl and site errors: Website and content errors are very disappointing. Whether it is on a desktop or mobile device, pages with errors easily turn away clients, get blocked, and de-ranked by search engines. Google Index Divide is here and will soon be the driving factor in digital marketing. While Google executes the index divide, a marketer is left with one option; aligning business strategy appropriately and taking advantage of the divide. 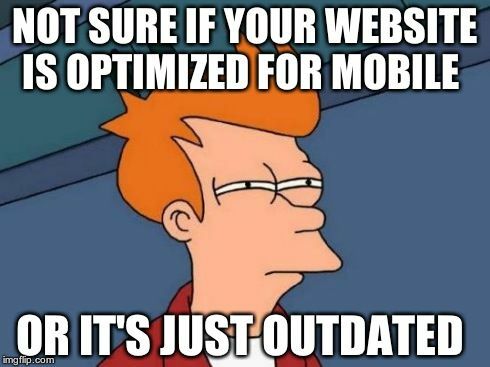 Make sure your business website, blog, post, and other online marketing applications are mobile optimized to be on the safer side of Google index divide.